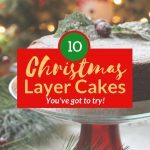 Needing ideas for delicious layer cake recipes you can make for the holidays? I’ve got ya covered! 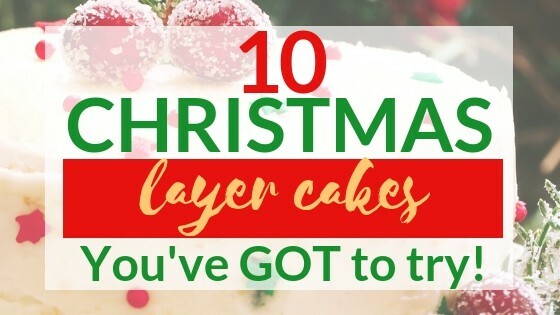 Here are some of the best, most delicious layer cakes that will make the perfect Christmas dessert. So many cakes, but so little time, right? I’d like to make each and every one of these cakes. It’s so hard to choose which! Ok this first one is more of a ‘design’, than a layer cake. 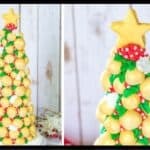 If you’re looking to get a little creative with your cake, you’ll want to try these cute little pine cones on it. If you want to make a delicious chocolate cake to put these little pine cones on, check out my recipe for Chocolate Butter Cake. 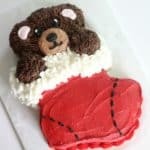 This cake is so cute and would definitely make a statement on your Christmas table. Are you a fan of peppermint and chocolate? In my experience, either people love it or hate it. I’m in the ‘love it’ camp, so this one is right up my alley. I’m definitely making this one. Um eggnog is why I gain like 15 pounds every Christmas. Okay maybe it’s not that much, but I LOVE that stuff. 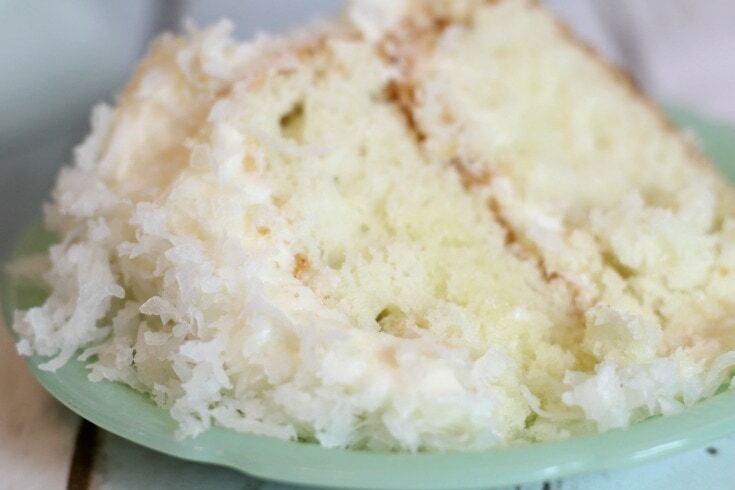 Ever thought about coconut cake for Christmas? I think people tend to assume it’s a spring or Easter cake, but it’s beautiful on a Christmas themed table and I guarantee you won’t find a more moist coconut cake. This one is one of my absolute favorites. 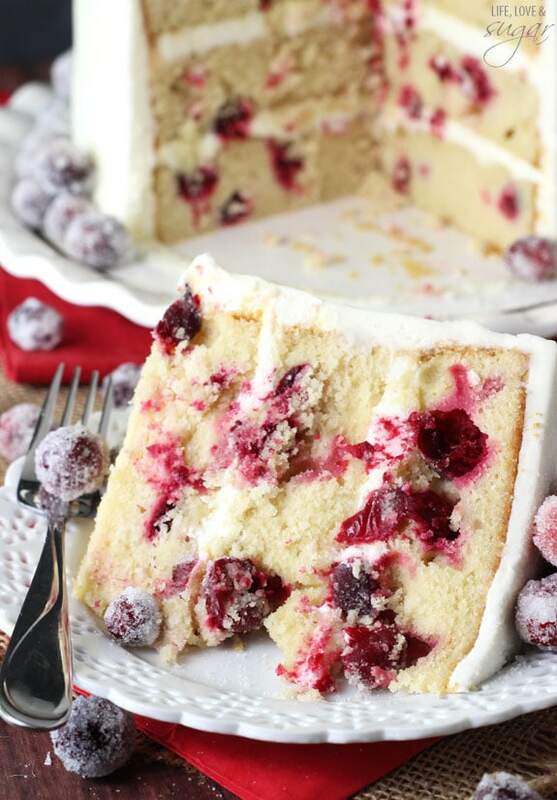 Ever try cranberry with white chocolate? It’s amazing. The tartness of the cranberries pair perfectly with the sweetness of the white chocolate. Even if you’re not a cranberry fan, I challenge you to just try it. Can you tell I’m a white chocolate fan? This combination is also a fave as the tartness of the raspberries pair perfectly with the sweet white chocolate. And you can’t deny it makes for a beautiful cake. Oh the rich and spicy taste of gingerbread. 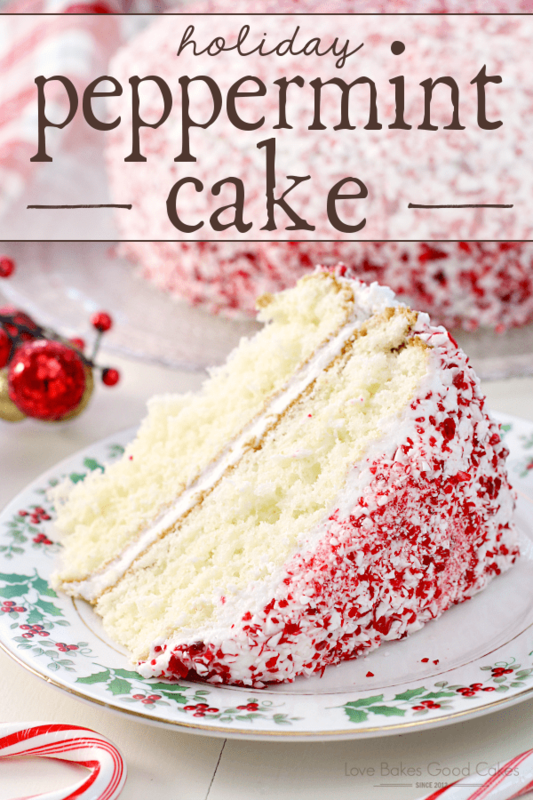 It’s definitely a holiday favorite and this one looks so good. 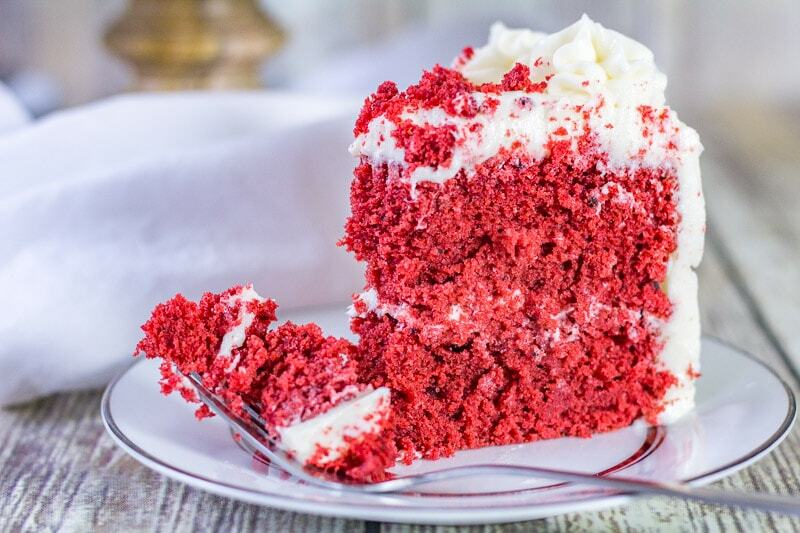 Ok, now we’re talkin’ a super moist AND delicious red velvet cake recipe. Sour cream in the cake batter really makes this one moist and the cream cheese buttercream just takes it over the top. 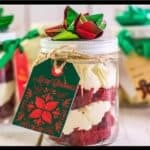 I think red velvet cakes are so pretty for Christmas. Yes, yes and yes. Cuz every Christmas celebration needs a chocolate cake, right? And especially one that tastes like hot chocolate. Ok this one is like ‘mega cake’. 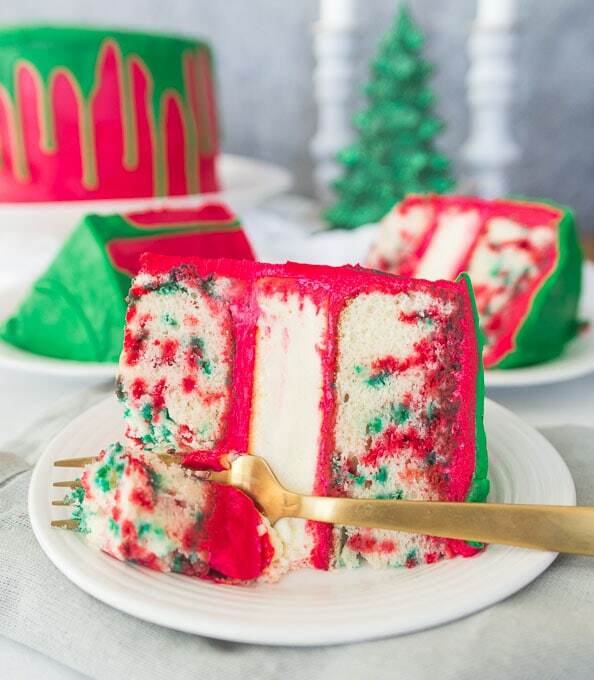 You get a layer cake PLUS a cheesecake in one AND it’s in Christmas colors. Win-win! Hi, I love all the new recipes to try. Got to make the pine cone one for Christmas or maybe the peppermint one. They all look delicious. I do have a cake problem, maybe you could help I have a cake recipe that makes 2 8 inch round cakes and I have been asked to make a cake for adoption celebration and they want the bottom layer 10 inch by 7 inch and a layer on top of that one 8 inch by 7 inch I have the pans but, have looked everywhere for how to adjust the amount of batter for that size cake. Can’t find any help some say it goes by volume and others say you have to adjust the ingredients such as the leveners because when you increase the size of the pan your baking soda etc. will have to be adjusted. It’s all really confusing I think a batter for a sheet pan would work just fine but don’t have the amounts for that either. I hope this makes sense and you know anything that I am trying to explain. Thank you for all the great recipes. 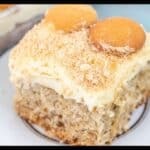 I could send you my recipe if you think you could help me adjust it. Debbie, usually what I do in this situation is just make an educated guess as to how many recipes I have to make. I don’t really ake any complicated calculations…I just kind of estimate in my head that if one recipe will make two, 8″ round cakes, then I might need x amount to fill x size of pans. Does that make sense? So I’ll do some guesstimating here for you. So the 10×7 inch pan, is that a single layer? 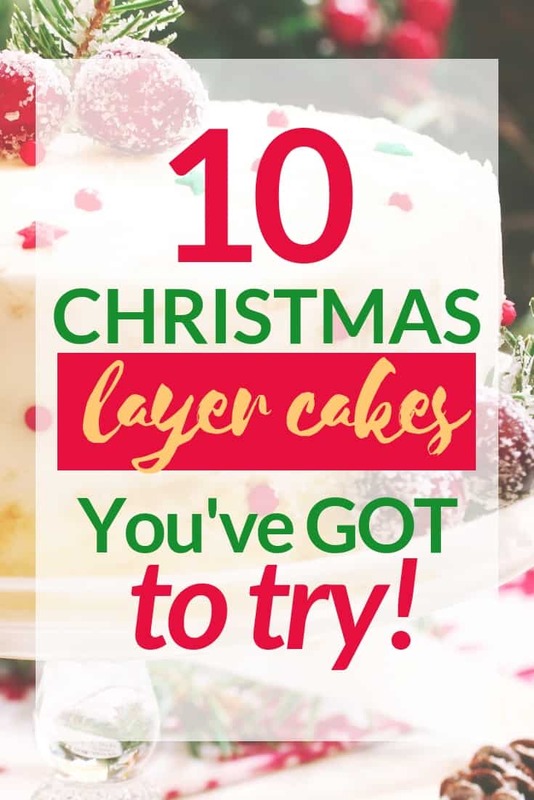 Or are you planning to bake two layers of that size? And it’s a rectangle (or almost square) correct? If you’re just doing one layer, then one cake recipe would do. If you’re making two layers, then about a recipe and a half would probably work. So for the next layer (the 8×7), if that’s square, you might get away with just one recipe for two layers, but you might want to make a recipe and a half, so it fills up the pan better. Ok, I hope all that made sense. I try to do things the simplest way I can and honestly, I just think it makes it too complicated to be recalculating rations etc. You really don’t need to. I usually just ask myself, ‘how many recipes do I need to make’. I hope that made sense. Thank you Kara for your quick reply and yes it was helpful. But they changed plans on me and this cake is due Dec 7th. Now they want a half sheet cake. Enough to feed 50 people. So now I have to figure how much batter for a sheet cake. I usually do stacked round cakes not sheet cakes and that odd little one on the top is supposed to have some puzzle pieces connecting with the names on them. Will be a pretty cake if I can figure out how much batter to put in a regular 1/2 Sheet pan. Thanks for all your help. Debbie, I think a 1/2 sheet pan is basically just two 13 x 9’s and since one cake recipe is usually enough to fill one 13 x 9, I’m thinking two recipes would do it for the 1/2 sheet cake. Let me know how it goes! Great, thank you so very much. I will send you a photo when I get it finished. I want a slice of all of these cakes.